Mini Cranes are innovative versatile tools for lifting in unconventional and difficult situations. Small enough to maneuver into places where conventional lifting equipment just can’t do the job. 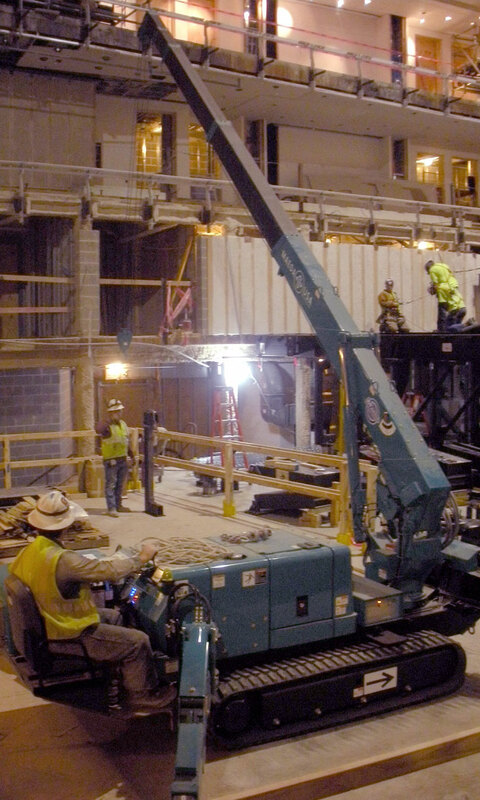 Maeda Mini Cranes provide powerful lifting in unconventional and difficult situations – small enough to maneuver into and access job sites where conventional lifting equipment just can’t do the job. With spider leg style outrigger design, and the ability to fit through most standard doors, Maeda cranes easily set up for lifting in almost any work space available. 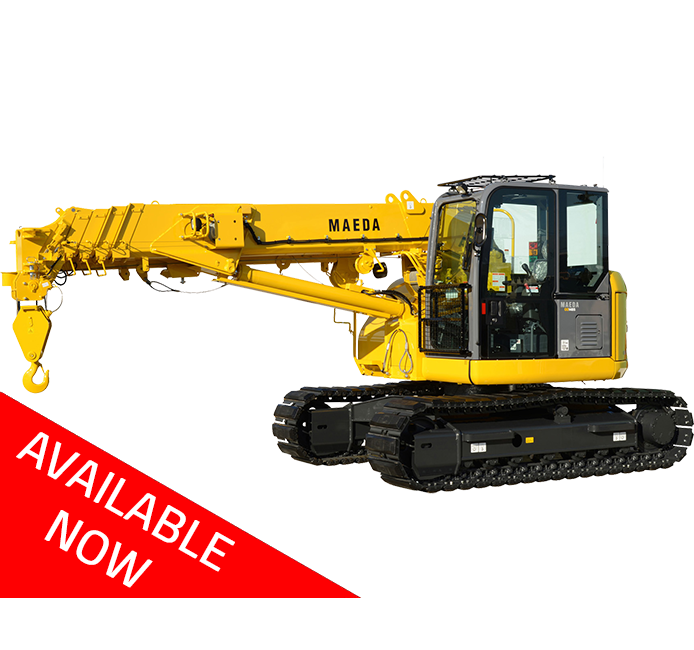 Easily transportable and intuitively designed for effortless use, Maeda’s full line of small footprint crawler cranes will help you lift in a whole new way. 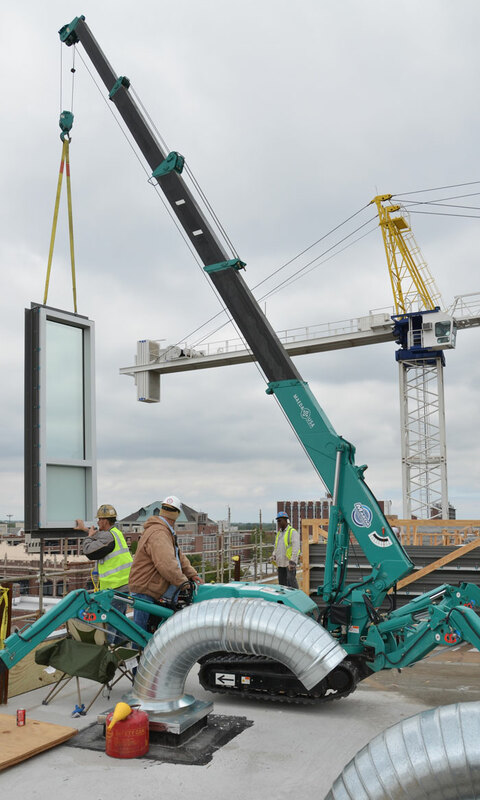 Building contractors, crane services, glaziers, plant maintenance personnel and other professions are discovering what the rest of the world has recognized – mini cranes go where no other lifting device can. 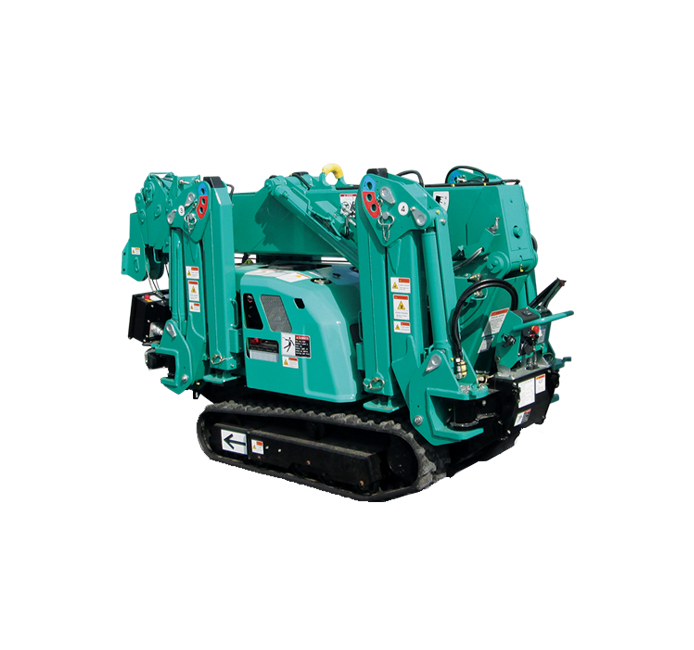 Maeda mini cranes are self-propelled and can enter through standard doorways to provide a unique solution indoors, underground, outdoors in confined spaces and when lifting tasks require a tight set-up. 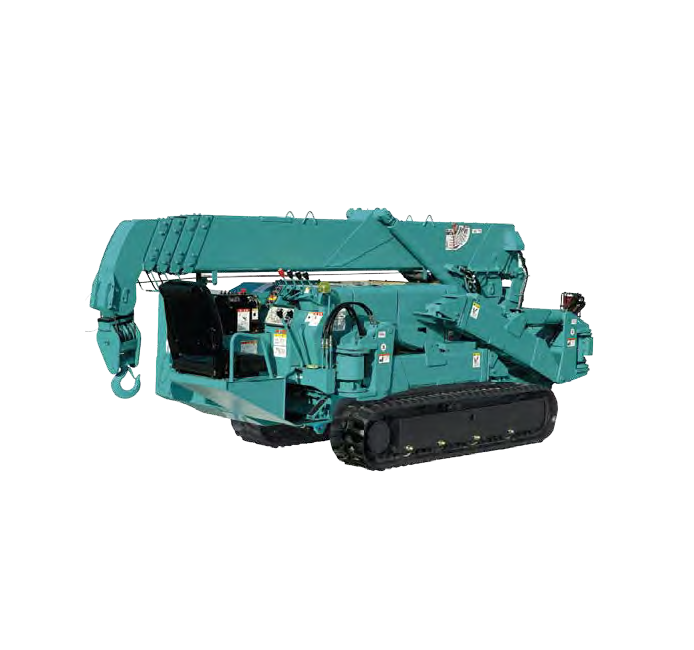 With standard features like fully automatic 5-section booms, 360-degree swing, hydraulic disc winch brakes and programmable Moment Limiter safety systems, Maeda mini cranes offer maximum performance in minimal space. All Maeda mini cranes meet or exceed the standards set by the American Society of Mechanical Engineers (ASME) and EPA. While Maeda’s integrated safety devices and ease of operation have proven to deliver reliable lifting in European and Asian markets, customers in North and South America are now discovering the superior design and engineering that goes into every Maeda crane and lifting accessory. As the exclusive importers of Maeda cranes for North and South America, Maeda USA was founded by crane experts. 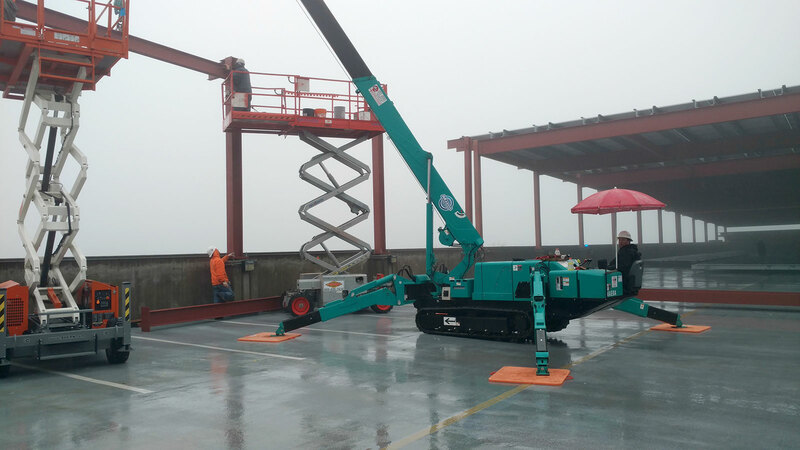 As second generation owners of a 33-year-old international crane sales and service company, we know what is required to properly maintain and safely operate these mini cranes. Get after-sale support from our knowledgeable staff and benefit from our many case histories of successful mini-crane applications. Looking for a Mini Crane in the United States? Our Mini Crane distributor network extends into Canada. 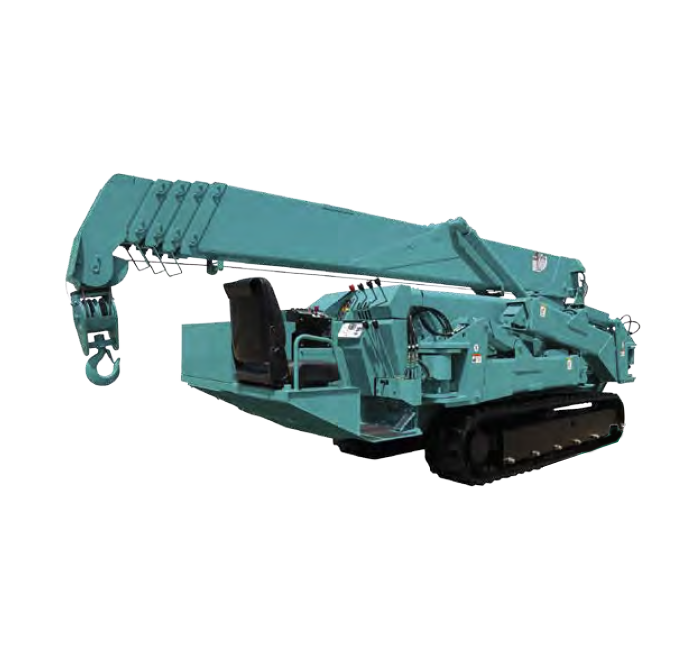 Looking for a Mini Crane in Mexico, Central America or the Caribbean?